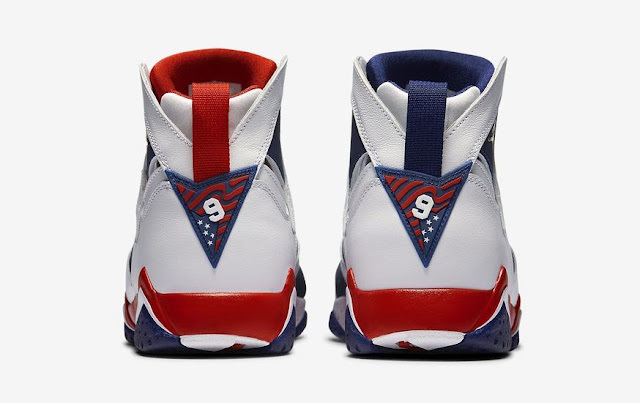 Swag Craze: Sneakers Dropping This Weekend: Air Jordan 7 "Olympic Alternate"
Sneakers Dropping This Weekend: Air Jordan 7 "Olympic Alternate"
The Air Jordan 7 “Tinker Alternate” is an alternate version of the Air Jordan 7 “Olympic” that was designed by Tinker Hatfield to coincide with the 2016 Olympics. Designed by the legend himself - Tinker Hatfield, the Air Jordan 7 found the designer removing the Nike Air branding visible on the previous six Jordan models and adding a neoprene Huarache bootie for support. 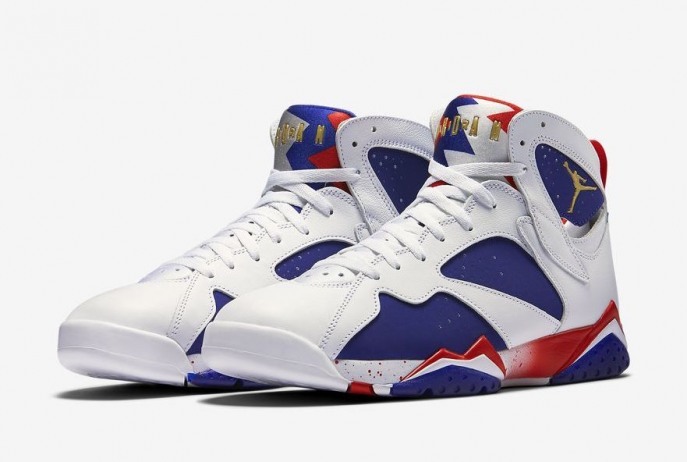 Dressed in red, white and blue throughout, the Air Jordan 7 also includes metallic gold coin accents and an American flag hitting the heels. In addition, Tinker Hatfield added a notable geometric pattern inspired by a poster for the long-running Afropop Worldwide radio program. 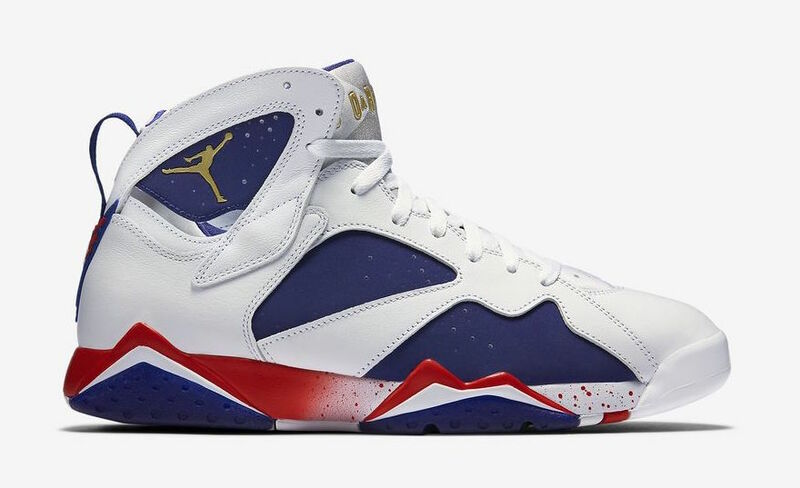 The Air Jordan 7 "Olympic Alternate" will drop on Saturday, 6 August 2016, at selected retailers.